Jacob plays Sir Bedevere, an enigma in a tabbard. This "almost" clever knight is a teensy bit gassy, with a penchant for cross dressing. 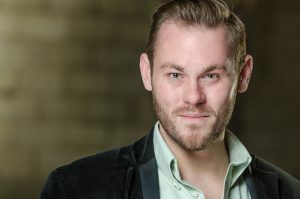 Jacob is thrilled and honored to return as a guest artist with OpenStage Theatre after two years in Houston, Texas, where he received his MFA from the Professional Actor Training Program at the University of Houston. There he played Brutus in Julius Caesar, The Stage Manager in Our Town and Joe Keller in All My Sons. Jacob also has worked for Texas Shakespeare Festival, Houston Shakespeare Festival and Houston's Main Street Theatre. He formally served as the Company Development Administrator for OpenStage and appeared in numerous roles with the Company, including as Dr. Frank N' Furter in The Rocky Horror Show, Friar Lawrence in Romeo and Juliet, and Tom Collins in RENT. Jacob won the OpenStage OPUS Award for Outstanding Supporting Actor twice for performances in Jacob Marley's Christmas Caroland once for Mr. Collins in Pride and Prejudice. 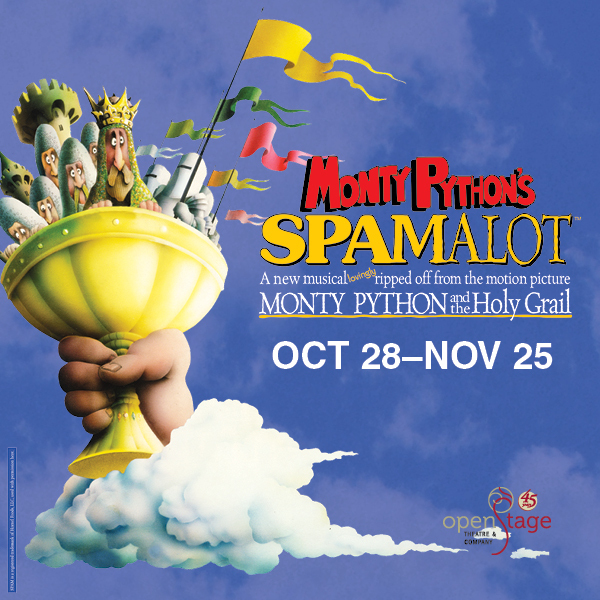 As gleefully silly yet wickedly smart as the beloved film Monty Python and the Holy Grail – ‘Spamalot’ is an irreverent parody of King Arthur and his Knights of the Round Table. It’s a joyous romp of a musical, filled with wild characters and wilder shenanigans. From killer rabbits to farting Frenchmen, the Lady of the Lake, Tim the Enchanter, Not Dead Fred, and the Knights who say Ni, ‘Spamalot’ will make you want to take your coconuts in hand and join this wacky quest! 2005 Tony Award for Best Musical. 2006 Grammy Award for Best Musical Theater Album. Contains adult language and themes.